Focus Media’s homecoming shows how much foreign markets have lost their appeal for Chinese companies. The Shanghai-based display advertising firm is returning to its domestic market through a backdoor listing eight years after it first listed overseas. The acquisition by Jiangsu Hongda New Material values it at $7.4 billion, twice what private equity firms and Focus’s own chairman paid to take it private two years ago. For those with a taste for financial engineering, this is a model that could be copied. There was a time Chinese companies needed to go overseas to raise capital. That brought with it new challenges from requirements for rigorous financial disclosure to more demanding foreign shareholders. A poor understanding of Chinese companies and accounting scandals have led to low valuations. Reversing into Hongda may involve hundreds of pages of disclosures, but none of the kind of tough questions levelled at Focus Media by short-seller Muddy Waters, in the attack that prompted the group’s delisting. Now dizzying valuations on the mainland have made it more desirable for Chinese companies that listed overseas to come home. Those that want to follow Focus Media would typically first have to collapse their off-shore holding companies, refinance all of their debt and, depending on the sector, go so far as to oust all of their foreign shareholders. China’s capital market infrastructure is not fit to meet the shift in demand. A huge backlog of companies waiting for an initial public offering mean a reverse takeover is the only rapid way to list. Nonetheless, Focus Media sets the scene for a homeward shift. 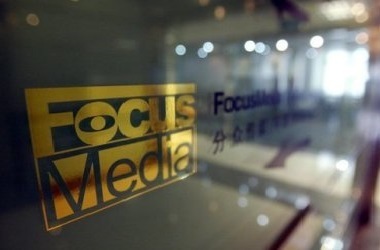 Focus Media will be acquired by Jiangsu Hongda New Material Co for 45.7 billion yuan ($7.4 billion) in a deal that will allow the Chinese private-equity backed advertising company to list in Shenzhen through the back door. Focus Media delisted from Nasdaq in May 2013 through a leveraged buyout that valued it at $3.7 billion. The buyout was led by chairman Jason Jiang with backing from private equity funds including Carlyle and FountainVest. The deal is pending approval from the China Securities Regulatory Commission. Trading in Hongda shares have been suspended since December 2014.